The Bashful Unicorn is the ultimate in plush feel from well known international brand Jellycat. 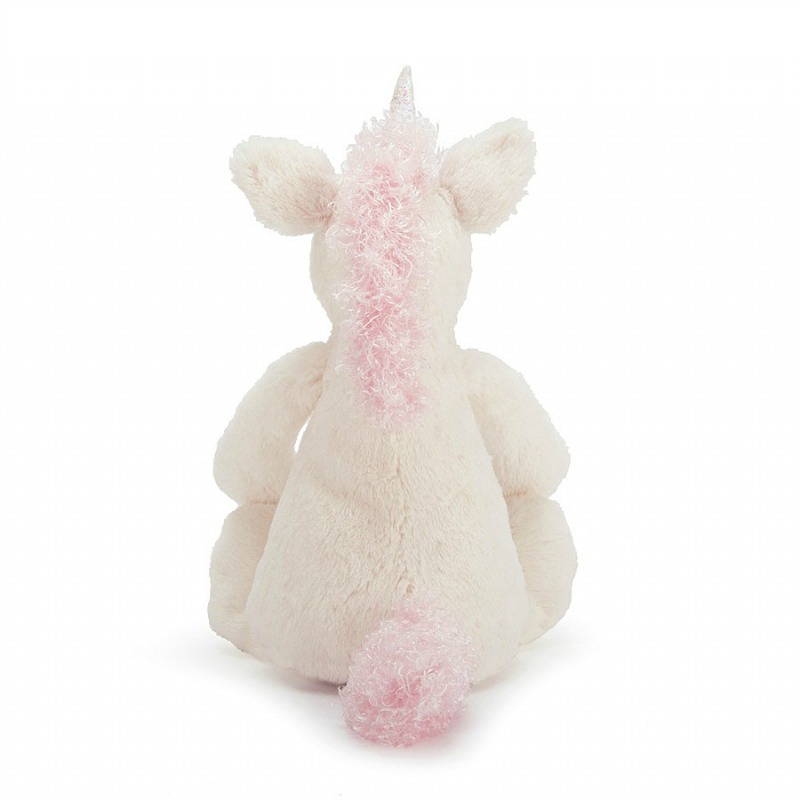 This gorgeous unicorn has a fab fluffy mane and tail, and is endlessly cuddly. 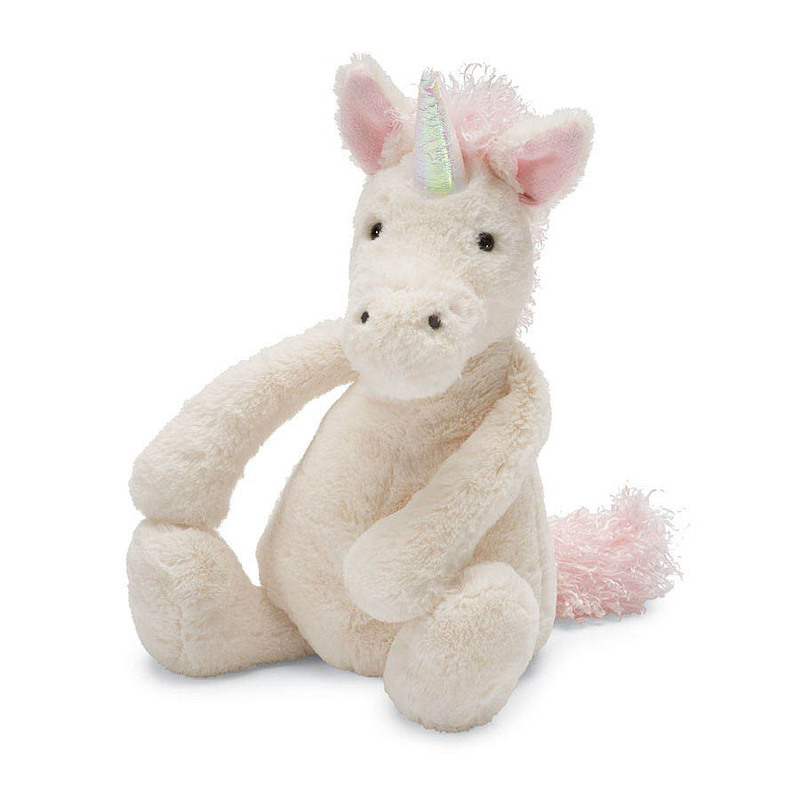 Even his beautiful pink metallic horn is soft and squishy for merry, magical play times! The gorgeous bashful Unicorn is destined to become your child's favorite for years to come. Jellycat creations are delightful to give and precious to hold...for a long long time. 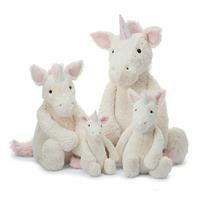 The Jellycat range is a favourite for children's special toys and is an excellent gift for baby or child. 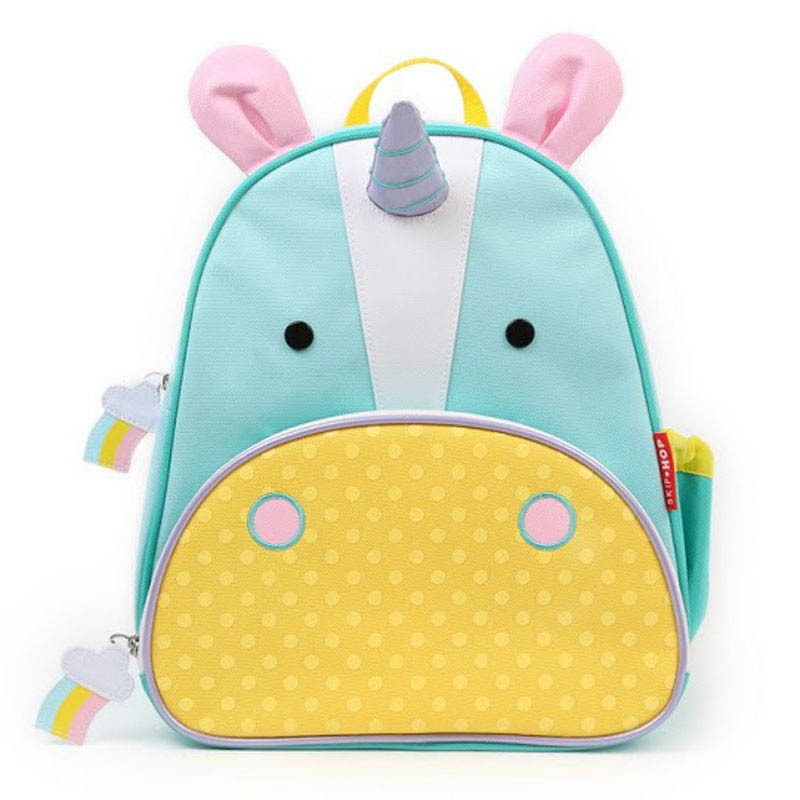 Who doesn't want their own unicorn ? 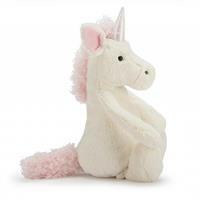 My twin 4 year old girls adore their bashful unicorn. 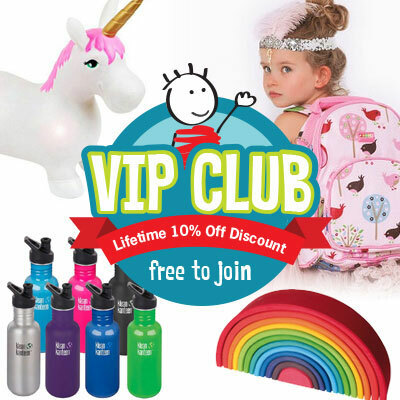 Perfect compliment to their Jellycat bunnies.